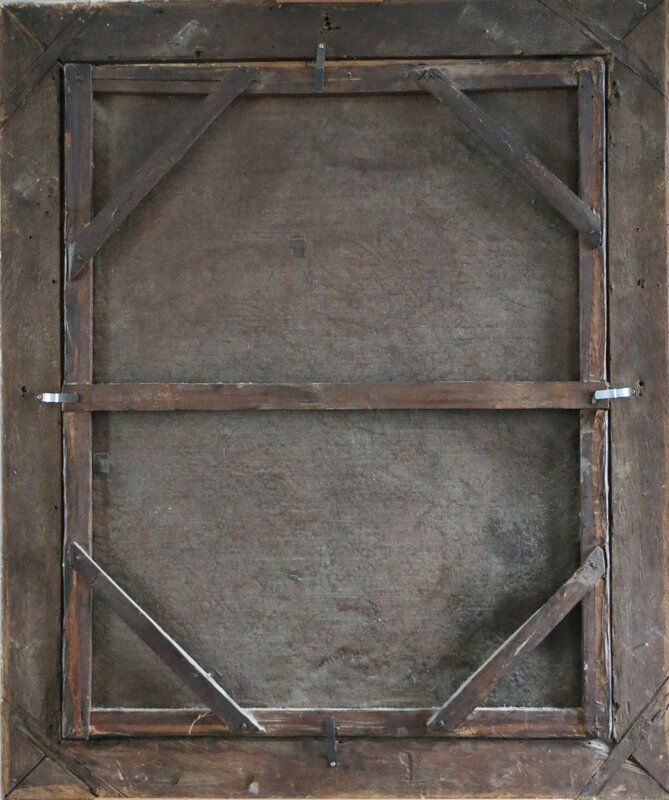 Beautiful setting (very good condition) XVIIth century carved and gilded decor of oak leaves. 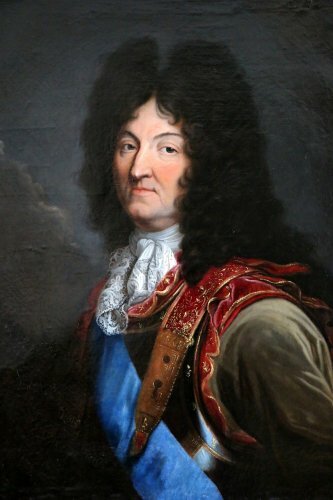 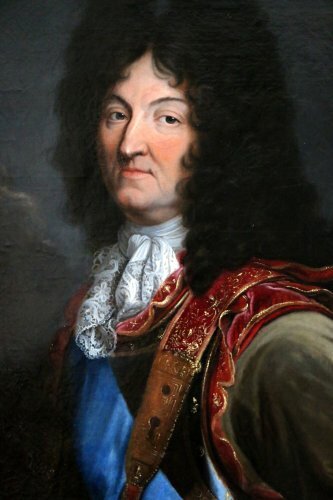 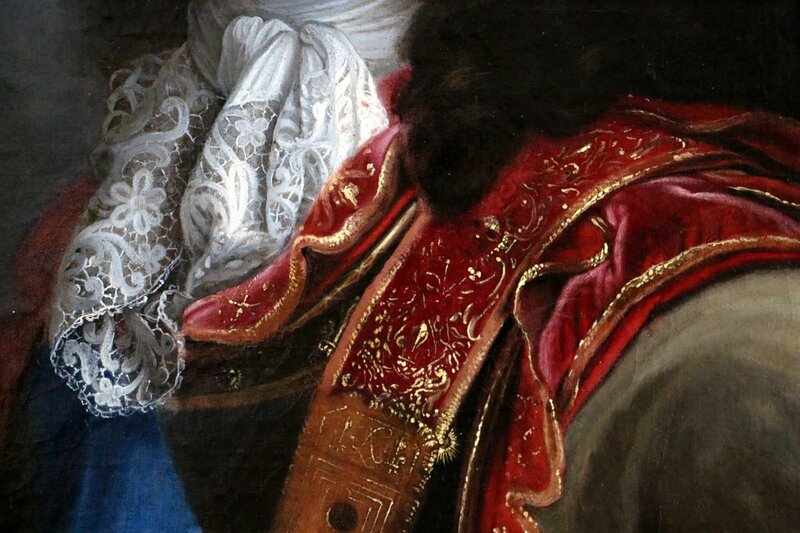 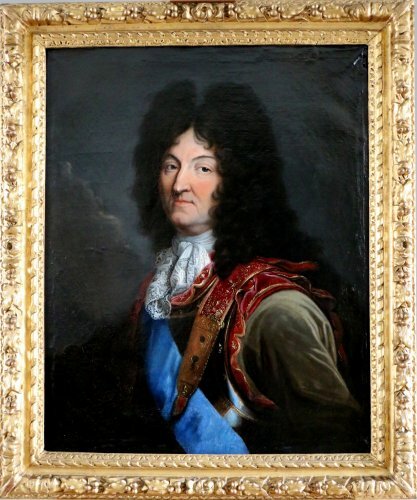 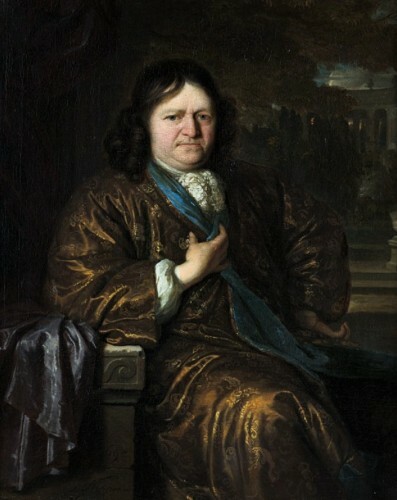 Hyacinthe Rigaud has produced three different official portraits of Louis XIV. 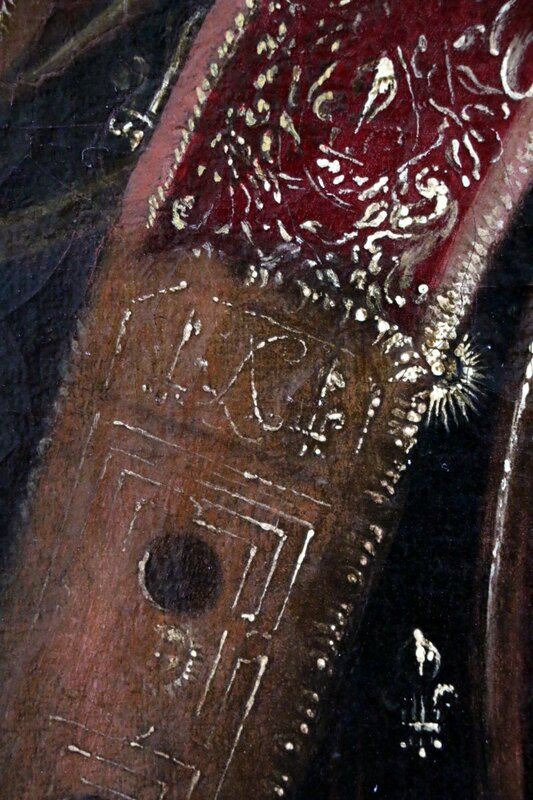 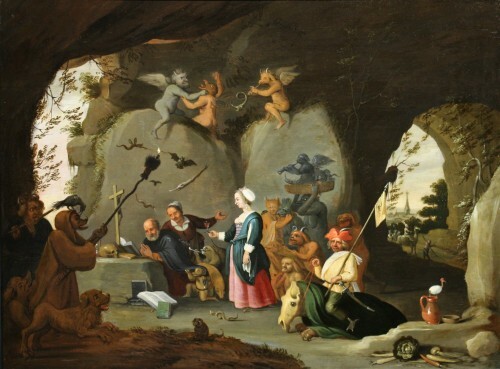 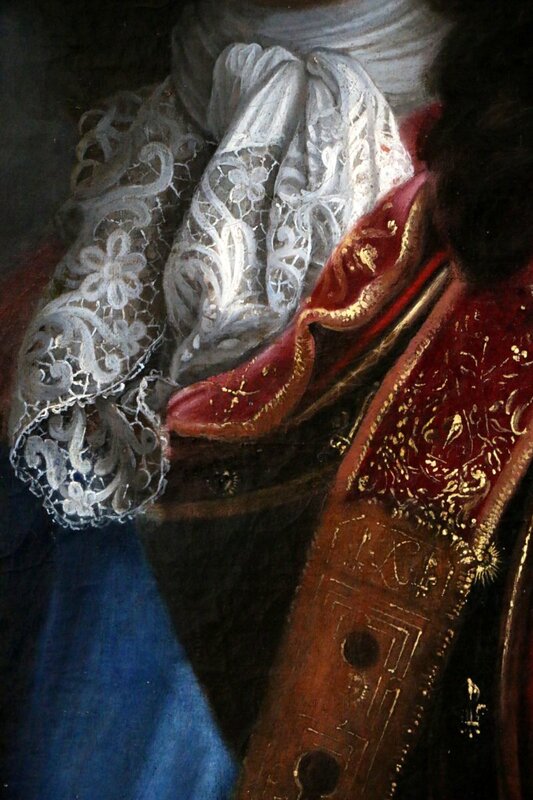 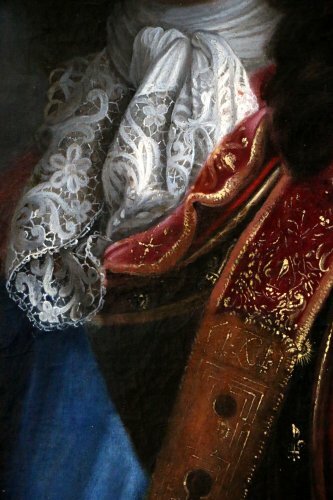 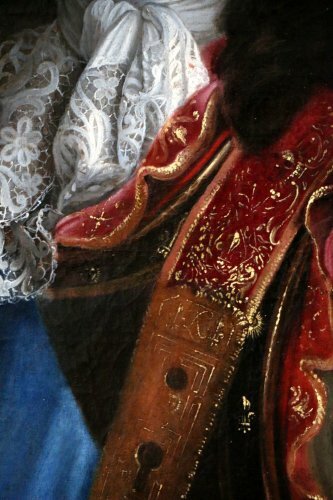 If the second, dated 1701 and representing the king in his coronation dress, is the most famous, the first painted seven years earlier, seems the most copied. The original is curiously absent from the books of the artist's accounts, which lists, in a single year, 1694, twenty copies made by Rigaud workshop whose prices ranged from 40 to 600 pounds (for the king's portrait "big" to Marshal Boufflers). 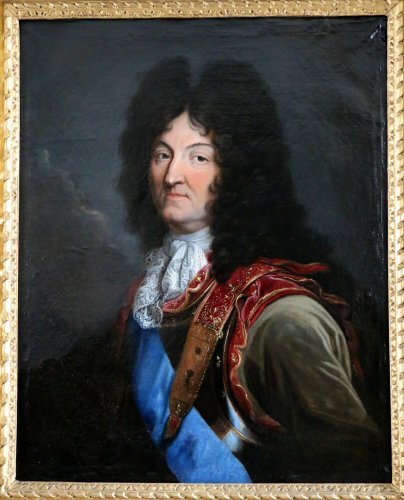 Fifty other copies of various sizes out of the studio between 1697 and 1699, even in 1705, some completely from the hands of students Rigaud, as Verly (fourteen replicas), Marc Nattier, Leroy, Viénot, or Jean Le Prieur Ranc. 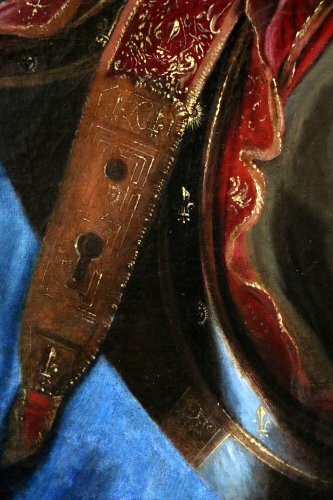 One of the paintings Ranc, showing the king to his knees, dressed in full armor, his right hand on the baton and left hip, is preserved at Herzog Anton Ulrich-Museum of Brunswick (inv. 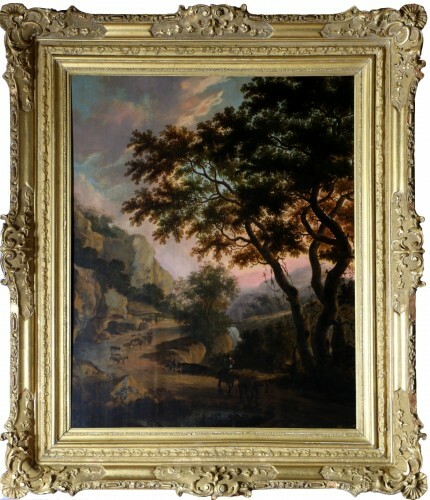 523, oil on canvas, 162 x 129 cm). Our table, like most of bust versions, carefully preserved the figure of the monarch, his attitude, his voluminous wig and lace cravat, but replaces the armor breastplate by withholding shoulders with leather fasteners and worn on a velvet suit tanned with wide cuffs. 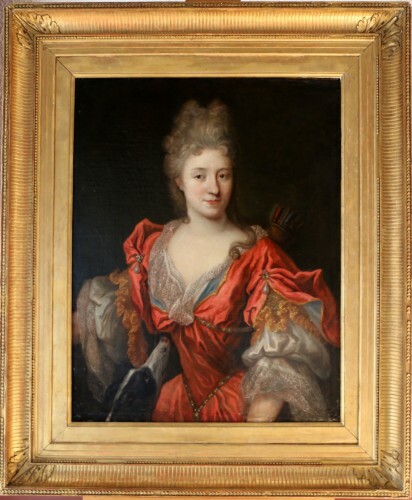 This portrait is very similar to the oval one kept in Copenhagen and also attributed to Jean Ranc (inv. 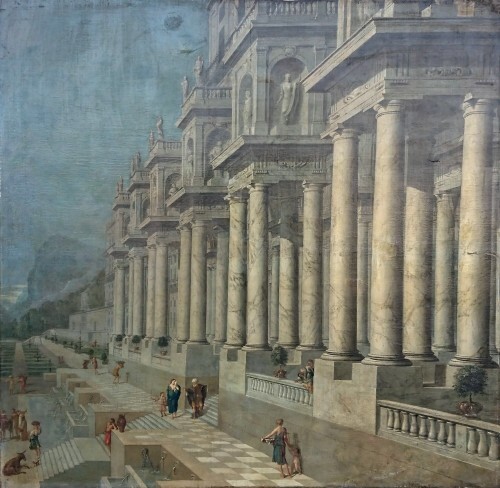 KMSsp706) and beautiful version of Dulwich Gallery (oval, cat DPG085, oil on canvas, 91 x 72 cm). 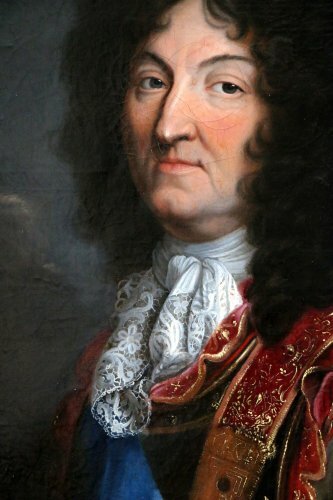 (See Mr. Stéphan Perreau). 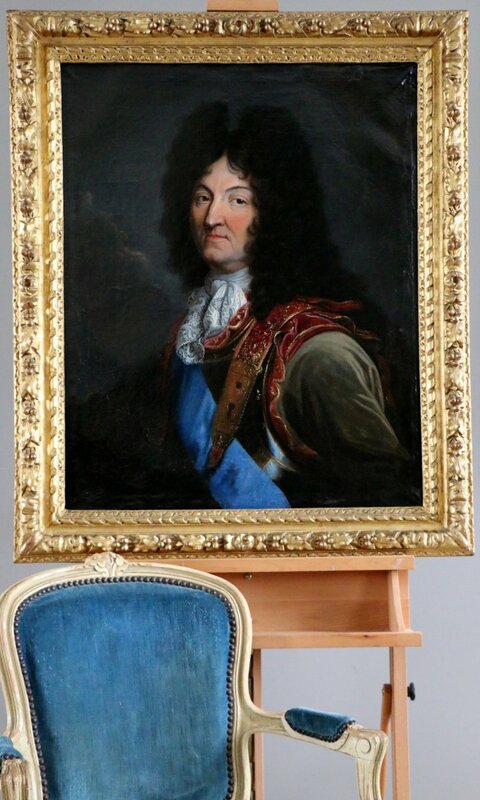 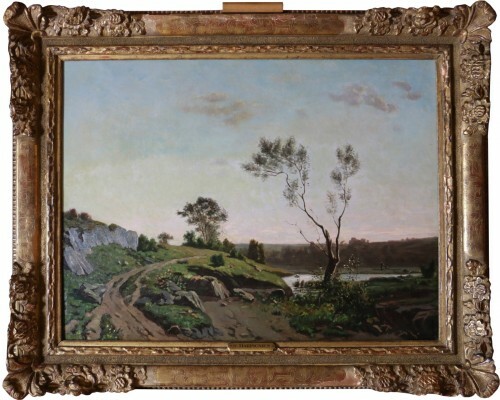 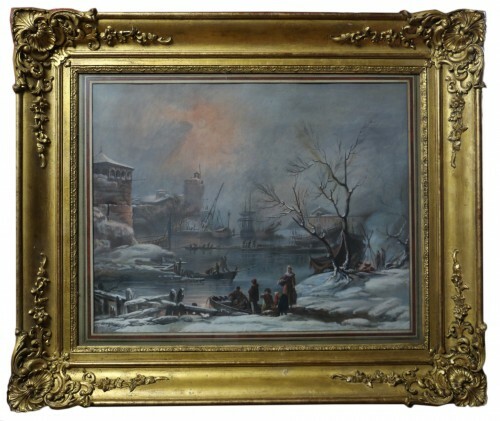 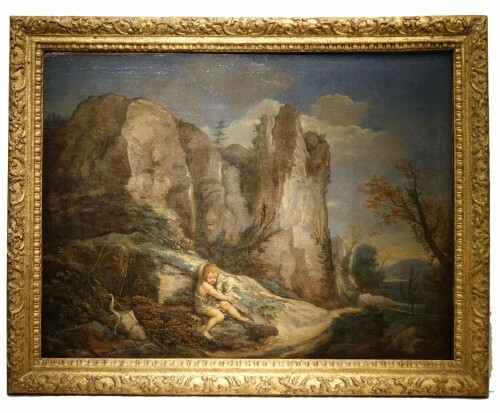 Oil on canvas and its original holder.